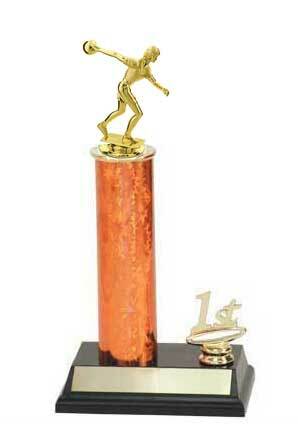 Is your bowling league looking for quality trophies for your end of year league awards? 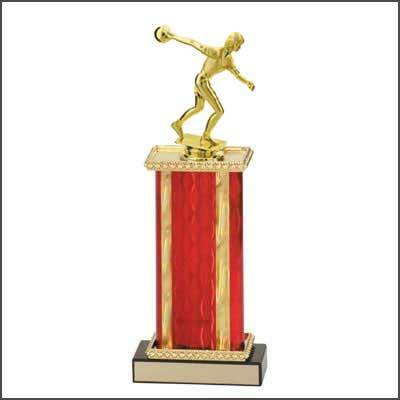 We have a large selection of economical bowling trophies. 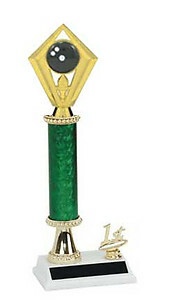 We have many different bowling trophy styles with a nice choice of figure options. 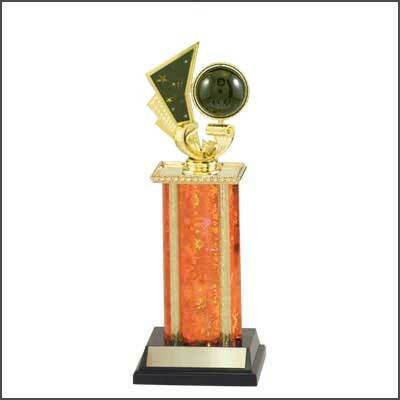 We offer male bowling trophies, female bowling trophies or non gender bowling trophies. 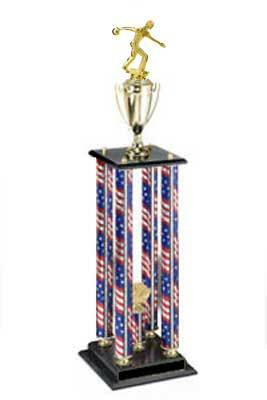 Be sure to scroll down the page to see all of our selection of bowling trophies. 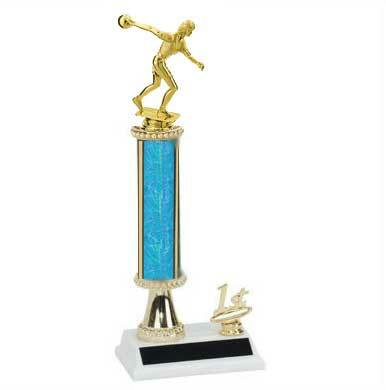 You can choose from a simple base and figure bowling trophy to a bowling trophy with one column, two columns, three columns & even four columns. You can customize your column color and base color for a small additional charge. If you do not need a certain color for your bowling trophies just check the box ?color doesn?t matter, use what is on hand? 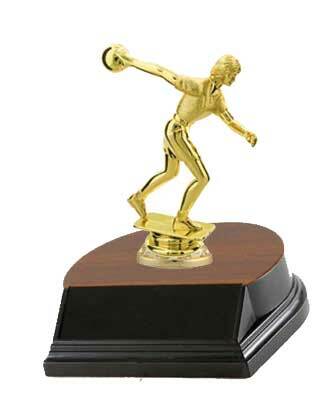 When you are selecting your bowling trophy, first pick the style of trophy you like (see below). 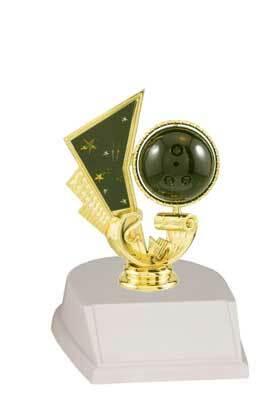 If you would like a bowling topper (figure) only, you can purchase one on our Bowling Topper Page page. 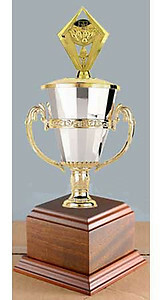 Every bowling trophy comes with 40 characters of FREE engraving, anything over that is $.07 a character. 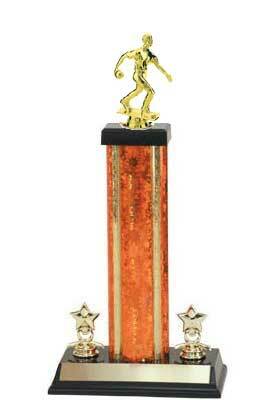 Most bowling trophies are shipped before seven business days. Standard shipment is UPS ground, however, we can ship UPS air or USPS if needed. If you need the order sooner, we can add a 15% rush charge to the order. Special shipping and rush orders must be confirmed by phone 1-800-787-8777.
Business hours are 8:30 am to 4:00 pm central time. 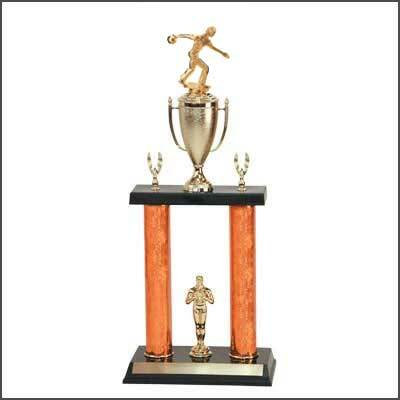 Bowling trophies orders may be placed online anytime, at this safe and secure store.